Since we have been discussing dog bites, and a friend sent me an excellent thought provoking article on rabies, I decided this was a good subject to post on today. As part of this post, I am doing something unusual; I am including an article from http://armageddonmedicine.net/ written by Dr. Cynthia J. Koelker of whom I am a fan. Worldwide rabies causes about 55,000 human deaths annually. Ninety five percent of these deaths occur in Asia and Africa. About 97% of human rabies cases are the result of dog bites. Any warm-blooded animal, including humans, can become infected, although birds have only been known to be infected in experiments. The greatest risk to humans is from infected bats, dogs, cats, raccoon, foxes, skunks, cattle, wolves, and coyotes. Rabies may also spread through exposure to infected domestic farm animals. Small rodents, such as squirrels, hamsters, guinea pigs, gerbils, chipmunks, rats, mice, rabbits and hares, are almost never infected with rabies and are not known to transmit rabies to humans. Until 1885, all human cases of rabies were fatal until a vaccine was developed by Louis Pasteur and Émile Roux. If bitten by an animal suspected of having rabies do the following. Thoroughly washing the wound as soon as possible with soap and water for approximately five minutes is effective in reducing the number of viral particles. “If available, an antiseptic such as povidone-iodine, iodine tincture, aqueous iodine solution, or alcohol (ethanol) should be applied after washing. Flush exposed mucous membranes such as eyes, nose or mouth with water.” If medical help is available, call 911 or get them to a Doctor as soon as possible. How do you tell if an animal has rabies? You can´t tell by looking at it. However if the animal is acting strangely that is a clue. Some animals will be hostile and may try to bite you or other animals. In the movies, animals with rabies always look like they are foaming at the mouth. Actually, the rabies causes an increase in saliva and that makes them drool. Some animals may act timid or shy; they may hide in the corner. This is more common. A wild animal might move slowly or act tame. You may be able to approach it. If a wild animal, acts abnormal be suspicious of it. As I watch my pet Golden Retriever “Doodles” cautiously sniff at the curb sewer, I believe the threat is real. A family of raccoons lives in the sewer pipes, and just a few months ago a local dog died of raccoon rabies. Could my children be next? Ohio is on the frontier of raccoon rabies, but despite yearly aerial and ground baiting programs for oral rabies vaccination, the uniformly lethal infection is moving westward. Bat rabies, the other common threat, is distributed more evenly across the United States. (If you’re wondering about your own state, check out the maps at Rabid Raccoons Reported in the United States during 2010 and Rabid Bats Reported in the United States during 2010. Odds are you’re unaware of anyone who’s died of rabies. That might not be the case if you live in India. In the U.S., human rabies is so rare that every case is investigated by the CDC (only 2–4 per year). 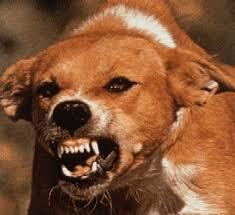 In India, annual deaths top 20,000, with someone dying of rabies every 30 minutes. This is largely due to under-vaccination of the dog population. Per the World Health Organization, 15 million people worldwide are treated with post-exposure vaccination, which is estimated to prevent 327,000 rabies deaths annually. So what would happen in America if the vaccine became unavailable and the population of stray dogs exploded? This could well occur in a true end-of-life-as-we-know-it scenario. Though our population density is not that of India, clearly the number of cases would skyrocket. The next logical question is: what can be done about it? Avoiding contact with bats, raccoons, wild canines, skunks, and suspicious dogs is obviously indicated. Even pacifists may be motivated to acquire a gun and the knowledge to use one safely. Clearly, you should vaccinate pets and other domestic animals now. But what about pre-exposure vaccination in humans? This is already recommended for veterinary students, spelunkers, and travelers to endemic regions where dog contact is likely. In 2009 a Virginia physician diagnosed his own subsequently fatal case of rabies a few months after returning from India – and without suspicious animal exposure! His agonizing end is detailed at the CDC web site. If you ask your family doctor whether you should be vaccinated against rabies in case of widespread disaster, the answer will likely be no. At a cost of up to $800 for the series of three shots, your insurance is unlikely to cover immunizations without a clear indication. However, if you visit a travel clinic, perhaps at your local health department, you may be able to obtain the vaccine, especially if you fall into one of the high risk categories mentioned above. The low-risk state of Indiana has a nice summary regarding vaccination on their web site. Your own state should offer something similar, or read the CDC’s guidelines on Human Rabies Prevention. I have also investigated the question of using canine rabies vaccination on humans. This has not been tested and likely never will be. I expect the likelihood of allergic reaction might be increased. However, per the doctors I consulted, they felt canine rabies vaccine has a good chance of effectiveness in humans. If I were bitten by a bat or suspicious raccoon, skunk, or dog, and the only thing I had available was animal vaccine, I would certainly use it. Curiously, some states, including Ohio, allow purchase of veterinary rabies vaccine by non-medical personnel, although most states limit sale to veterinarians only. The same dose is used for dogs of all sizes, with twice as much administered to horses. So where does this leave us? As a family physician, stockpiling human rabies vaccine is cost-prohibitive. On the other hand, at $20/dose, stockpiling dog rabies vaccine is a consideration, both for professionals and laymen. Vaccines do require refrigeration and commonly list a shelf-life of only a year or two, but having something on hand may be preferable to having nothing. While I cannot offer a one-size-fits-all answer on this topic, rabies vaccination is a valid question for serious preppers. This entry was posted in animals, medical and tagged rabies. Bookmark the permalink. Thanks so much for bringing this important issue to everyone’s attention. Rabies is almost always fatal and not a pleasant way to die. Where we live the animal rabies vaccine is less than $5 each. Wouldn’t it be a good idea to have some just in case.